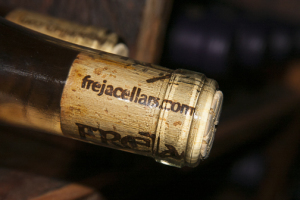 The name Freja is both a tribute to both the majestic Burgundy region of France where great Pinot Noir has its origins and to the Scandinavian nomads who first settled this area. In Norse mythology, Freja is a goddess of love and fertility. She is the patron of crops and birth, the symbol of sensuality. Freja is peacemaker and the bride of fallen heroes. At times she rode Odin’s famous horse Sleipner(depicted on the front label). In Teutonic mythology, she was fused with the goddess Frigg. Friday is named for her.